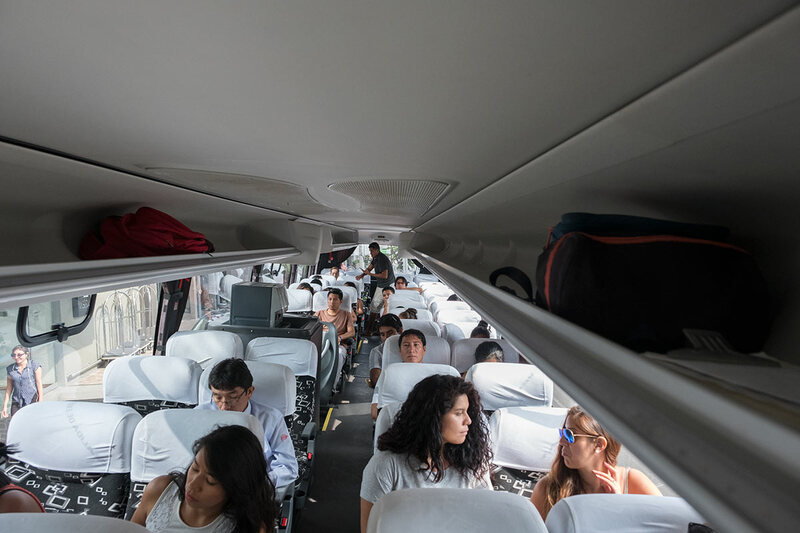 To ensure the comfort and safety of all of our passengers, AIRPORT EXPRESS LIMA has some of the best buses in Peru. Our buses are operated via our partners at DC Travel SA, a 10-year-old award-winning Peruvian company, famous for luxury bus travel and safety. All of our buses are Irizar branded, and are replaced every 3 years to ensure we always have modern buses at our disposal. 45 – 50 semi-bed reclining seats, with sponge foam pads for added comfort. High-tech temperature controlled air system, to ensure it is never too hot or too cold. 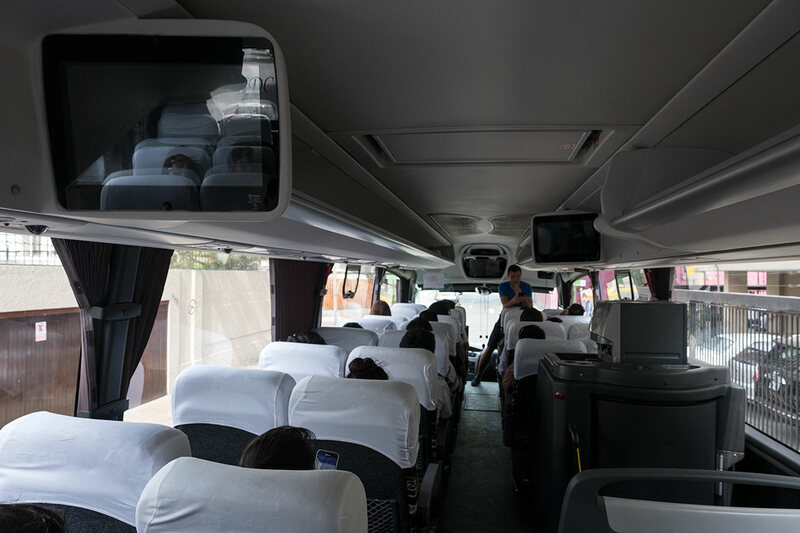 LCD TVs on board, so you can sit back and enjoy our TV channel with practical information about Lima. Highest quality brake and suspension system, to ensure a smooth and seamless journey. Free Wi-Fi on board, so you can tell your family and friends that you have arrived safely. USB ports to charge your phone, tablet, kindle and camera. GPS monitoring system allowing us to track our buses every step of the way, and monitor driver speed. Here at Airport Express Lima we realise the importance of a safe and comfortable journey, and so we constantly run maintenance checks, monitor driver speeds, and listen to any feedback our passengers have, to help improve our service. 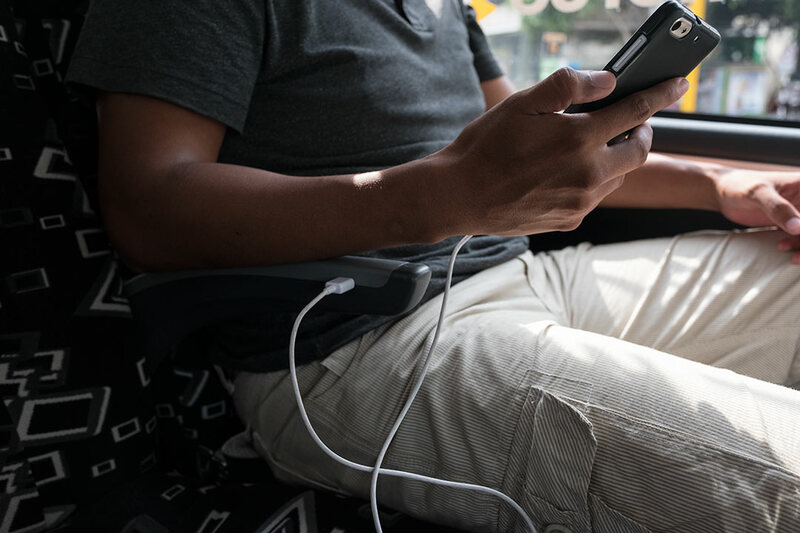 Our buses, via our partners at DC Travel SA, are ranked amongst the best buses in Peru, ensuring you have a smooth and pleasant bus trip through this incredible city.